A combination of high fuel prices and a search for alternative technologies, combined with massive waste generation has led to countries in the Middle East region to consider Waste to Energy (or WtE) as a sustainable waste management strategy and cost-effective fuel source for the future. We look at the current state of the WtE market in the region. 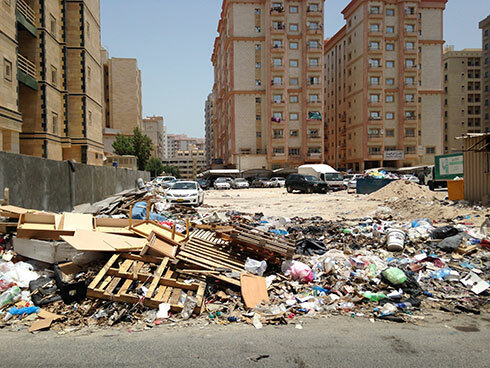 It is estimated that each person in the United Arab Emirates produces 2 kg of municipal solid waste per day – that puts the total waste production figure somewhere in the region of 150 million tonnes every year. Given that the population currently stands at over 9.4 million (2013) and is projected to see an annual average growth figure of 2.3% over the next six years, over three times the global average, it’s clear that this is a lot of waste to be disposed of. In addition, the GCC nations in general rank in the bottom 10% of the sustainable nations in the world and are also amongst the top per capita carbon-releasers. When we also consider that UAE are actively pursuing alternative energy technologies to supplement rapidly-decreasing and increasingly-costly traditional fossil fuels, mitigate the harmful effects of landfill, and reduce an ever-increasing carbon footprint, it becomes apparent that high on their list of proposed solutions is Waste to Energy (WtE). It could be an ideal solution to the problem. Waste-to-Energy works on the simple principle of taking waste and turning it into a form of energy. This can be electricity, heat or transport fuels, and can be achieved in a variety of ways – the most common of which is incineration. MSW is taken to a WtE plant, incinerated at high temperatures and the resultant heat is used to boil water which creates steam to turn turbines, in the same way that burning gas or coal produces power. Gasification and anaerobic digestion are two further WtE methods which are also used. However, WtE has several advantages over burning fossil fuels. Primarily amongst them are the potential to minimise landfill sites which have caused serious concern for many years. They are not only unsightly, but can also be contaminated, biologically or chemically. Toxic waste can leach into the ground beneath them and enter the water table. Landfill sites also continuously emit carbon dioxide and methane, both harmful greenhouse gases – in addition methane is potentially explosive. Sending MSW to landfill also discourages recycling and necessitates more demand for raw materials. Finally, landfill sites are unpleasant places which attract vermin and flies and give off offensive odours. 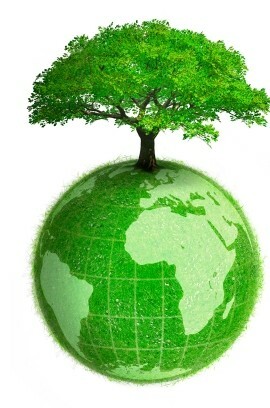 WtE has been used successfully in many countries around the world for a long time now. Europe is the most enthusiastic proponent of WtE, with around 450 facilities; the Asia-Pacific region has just over 300; the USA has almost 100. In the rest of the world there are less than 30 facilities but this number is growing. Globally, it is estimated that the WtE industry is growing at approximately US $2 billion per annum and will be valued at around US $80 billion by the year 2022. The USA ranks third in the world for the percentage of waste which is incinerated for energy production. Around 16% of the rubbish that America produces every day is burned in its WtE plants. Advocates claims the advantages are clear: reducing the amount of greenhouse gas emitted into the environment (estimates say that burning one ton of waste in a WtE plant saves between one half and one ton of greenhouse gases compared to landfill emissions, or the burning of conventional fuels), freeing up land which would normally be used for landfill (and, therefore, extending the life of existing landfill sites), encouraging recycling (some facilities have managed to reduce the amount of waste they process by up to 90% and the recycling of ferrous and non-ferrous metals provides an additional income source), and, perhaps most importantly, producing a revenue stream from the sale of the electricity generated. In one small county alone, Lancaster, Pennsylvania, with a population of just over half-a-million people, more than 4.4 billion kWh of electricity has been produced through WtE in the last 20 years. This has generated over USD $256 million through its sale to local residents. Given WtE’s potential to not only reduce greenhouse gas emissions and pollution on a local scale, but also to produce much-needed electricity in the region, what is the current state of affairs in the Middle East. There are several WtE initiatives already underway in the region. Qatar was the first GCC country to implement a waste-to-energy programme and currently generates over 30MW of electricity from its Domestic Solid Waste Management Center (DSWMC) located at Messeid (Doha). Saudi Arabia and the UAE have both stated that they have WtE production capacity targets of 100MW. Bahrain, Kuwait and Oman are also seriously considering waste-to-energy as a means to tackle the worsening waste management problem. Abu Dhabi’s government is currently spending around US $850 million to build a 100 MW plant which is expected to be operational by 2017 and which will supply around 20,000 households with electricity. In Sharjah, the world’s largest household waste gasification plant, costing in excess of US $480 million, is due to be open in 2015. However, not all the GCC members are as enthusiastic about WtE. Dubai’s government has recently scrapped plans for a US $2 billion project which would have made use of the 7,800 tonnes of domestic waste which is produced in Dubai every single day. We asked Salman Zafar, Founder of Doha-based EcoMENA, a popular sustainability advocacy, why given the sheer scale of the waste in the Gulf region, the production of this form of energy is still in its infancy. “The main deterrent in the implementation of WtE projects in the Middle East is the current availability of cheap sources of energy already available, especially in the GCC,” he commented. Salman Zafar further says, “WtE projects demand a good deal of investment, heavy government subsidies, tipping fees, power purchase agreements etc, which are hard to obtain for such projects in the region.” “The absence of a sustainable waste management strategy in Middle East nations is also a vital factor behind the very slow pace of growth of the WtE sector in the region. Regional governments, municipalities and local SWM companies find it easier and cost-effective to dump untreated municipal waste in landfills,” he added. So, how can WtE contribute towards the region’s growing power demand in the future? “Modern WtE technologies, such as RDF-based incineration, gasification, pyrolysis, anaerobic digestion etc, all have the ability to transform power demand as well as the waste management scenario in the region,” he continued. 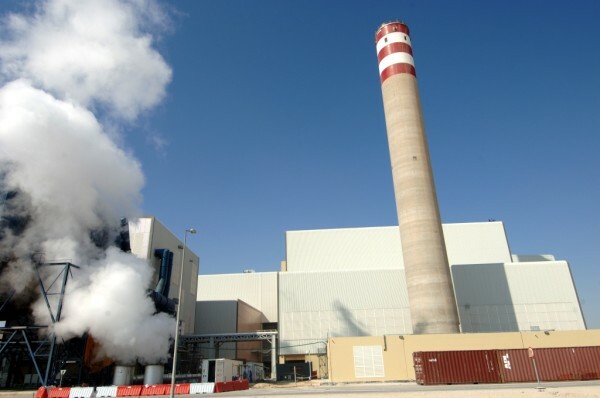 “A typical 250 – 300 tons per day WtE plant can produce around 3 – 4 MW of electricity and a network of such plants in cities across the region can make a real difference in the energy sector as well as augmenting energy reserves in the Middle East. In fact, WtE plants also produce a tremendous about of heat energy which can be utilised in process industries, further maximising their usefulness,” Salman Zafar concluded. New technologies naturally take time to become established as their efficiency versus cost ratios are analysed. 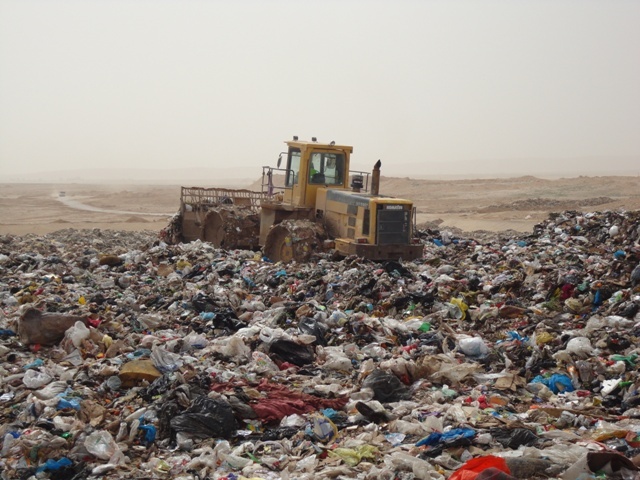 However, it is becoming increasingly clearer that waste-to-energy is a viable and efficient method for solid waste management and generation of alternative energy in the Middle East. The growing amount of e-waste is gaining more and more attention on the global agenda. In 2017, e-waste production is expected to reach up to 48 million metric tons worldwide. The biggest contributors to this volume are highly developed nations, with the top three places of this inglorious ranking going to Norway, Switzerland and Iceland. In Norway, each inhabitant produces a massive 28.3 kg of e-waste every year. Not far behind the top ten of this ranking lie GCC member states, with both Kuwait and UAE producing each 17.2 kg e-waste per capita per year. Saudi Arabia with its many times larger population produces least e-waste per capita among all GCC countries, with 12.5 kg a year. MENA region has an attractive market for renewables due to abundant availability of solar and wind resources. According to a recent IRENA report, the region is anticipating renewable energy investment of $35 billion per year by 2020. Recently, the MENA region has received some of the lowest renewable energy prices awarded globally for solar PV and wind energy. Among MENA countries, Morocco has emerged as a role model for the entire region. The government’s target of 2GW of solar and 2GW of wind power by 2020 is progressing smoothly with the commissioning of Nour-1 Solar project. Jordan and Egypt are also making steady progress in renewable energy sector. 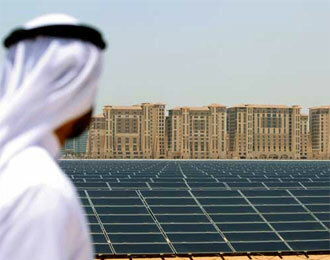 As far as GCC is concerned, the UAE has also shown serious commitment to develop solar energy. The 100MW Shams CSP plant has been operational since 2014 in Abu Dhabi while 13MW Phase I of Dubai’s solar park was completed in 2013. In Saudi Arabia, the newly launched Vision 2030 document has put forward a strong regulatory and investment framework to develop Saudi clean energy sector which should catalyse renewable energy development in the country. Renewable energy has multiple advantages for MENA in the form of energy security, improved air quality, reduced GHG emissions, employment opportunities, apart from augmenting water and food security. The business case for renewable energy proliferation in MENA is strengthened by plentiful availability of natural energy resources and tumbling solar PV technology costs which are leading to record low renewable power generation costs. The recent auction for the Mohammed Bin Rashid Al Maktoum Solar Park 2 in Dubai yielded prices as low as 5.85 US cents per kWh which is one of the lowest worldwide. The falling costs will have a significant positive impact in the developing world where tens of millions of people still lack access to cheap and reliable supply of energy. Reducing costs will help MENA, especially GCC, to meet its target of steady transition towards renewable energy and thus reducing dependence on fossil fuels for power generation and seawater desalination. The slump in renewable energy tariffs will also encourage utility companies in emerging markets to include more renewable energy in transmission and meet the targets set by respective countries. However, it should also be noted that there have been several instances where the actual renewable energy production failed to take place because of low bids. Off-grid renewable energy technologies have tremendous potential to popularize clean energy among remote and marginalized communities across the world. Access to clean, reliable and relatively cheap energy from renewable resources, especially solar power, will usher in a new era in developing countries. Off-grid (or standalone) renewable power systems are already making a meaningful difference in the lives of millions of people across the developing world. 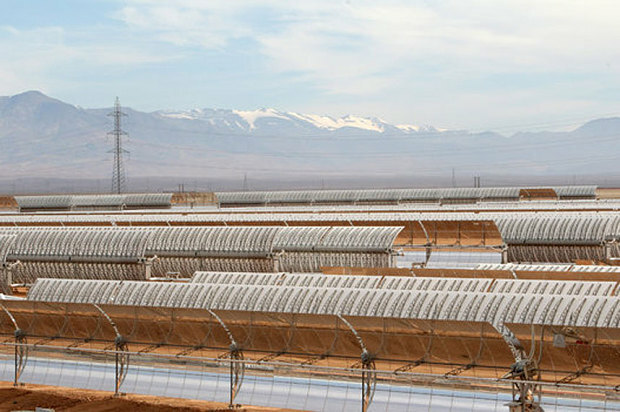 In recent years, Morocco has made remarkably swift progress in renewable energy sector. Concentrated solar power (CSP) has the potential to transform seawater desalination industry, one of the largest energy consumers in the Middle East. CSP offers an attractive option to power industrial-scale desalination plants that require both high temperature fluids and electricity. CSP can provide stable energy supply for continuous operation of desalination plants, based on thermal or membrane processes. Leading CSP technology companies are already taking a keen interest in Middle East CSP market and rapid developments are expected in the coming years. Lack of strong regulatory framework, low renewable energy tariffs and weak off-take mechanisms are some of the issues confronting renewable energy projects in MENA. Regulatory framework in the GCC is in early stages and marred by heavy subsidy for oil and gas. The largest barrier to growth of solar sector in MENA has been the lack of renewable energy policy framework, legislations, institutional support, feed-in-tariffs and grid access. The power sector in MENA is, by and large, dominated by state utilities which discourage entrepreneurs and Independent Power Producers (IPPs) to enter the local markets. Lack of open and transparent market conditions in MENA are acting as deterrent for investors, technology companies and project developers. Among regional countries, Jordan and Morocco have the most advanced legal infrastructure in place to support renewable energy projects, followed by Saudi Arabia and the UAE. MENA solar market is complex due to different electricity market structure and myriad challenges in each country. Different countries have different motivations for renewable energy. Solar companies who want to foray in MENA market must give special attention to land access, grid access, transparent licensing schemes, high-quality meteorological data, creditworthy customers, long-term off-take contracts, soiling of PV panels and related issues.